The Royal Society of Medicine is a world renowned provider of post-graduate medical education. As well as providing first rate education, promoting exchanges of information and scientific ideas, it also is home to two beautiful and unique venues. 1 Wimpole Street and Chandos House are two incredibly different venues, yet are both versatile and individual in their own right. 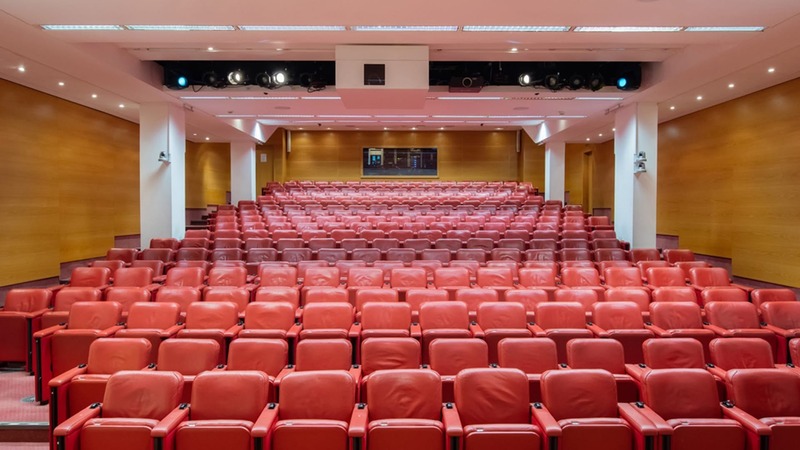 1 Wimpole Street is the perfect venue for those needing conference and business events, and hosts hundreds of events every year. Chandos House is one of the finest event venues in the West End of London, and hosts bespoke events all year round,including incredibly special parties. 1 Wimpole Street is your next event venue. The building is over 100 years old, and issteeped in history and prestige, with interesting architecture. The venue offers the opportunity to book for events that are not medical related, which means all kinds of events can be hosted here, from workshops, business meetings, to drink receptions. With 16 different spaces across the entire 3 floors, there are ample choices for the perfect venue. The spaces range with capacities between 10 to 300 people, meaning that there is both the flexibility and the space to create an amazing event. Each venue has beautiful, natural light, making the space perfect for adaytime event. The space is fitted with the cutting-edge technology that is necessary to make your event stand out. It has the best audio visual technologies, so that whatever work or business event you are hosting is supported by both technology, and the in-house AV team. 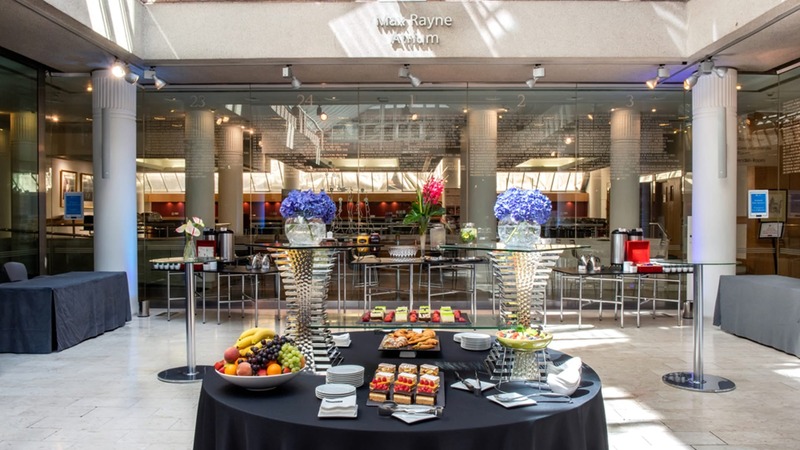 The events can be catered by the in-house catering team, with the options ranging from simplesnacks, to breakfast options, to three course gourmet dishes. All food is sustainably sourced, local, and fresh produce. 1 Wimpole Street really prides itself on offering flexible, functional event space for your next event or conference. If you have an event where you need to fit the venue space to your needs, than 1 Wimpole Street can offer that venue choice for you. There is the Max Rayne Atrium, Max Rayne Auditorium, Naim Dangoor Auditorium, and Guy Whittle Auditorium are all huge spaces that can be easily used for your next event. Each venue space is unique - with the Max Rayne Atrium being a glass-roofed green space capable of holding up to 200 people, and the auditorium spaces ranging from being able to hold 80-300 people. The Garden Space at Chandos House is a stunning event venue, and gives hosts the ability to have both an indoor and outdoor event, in an intimate setting. 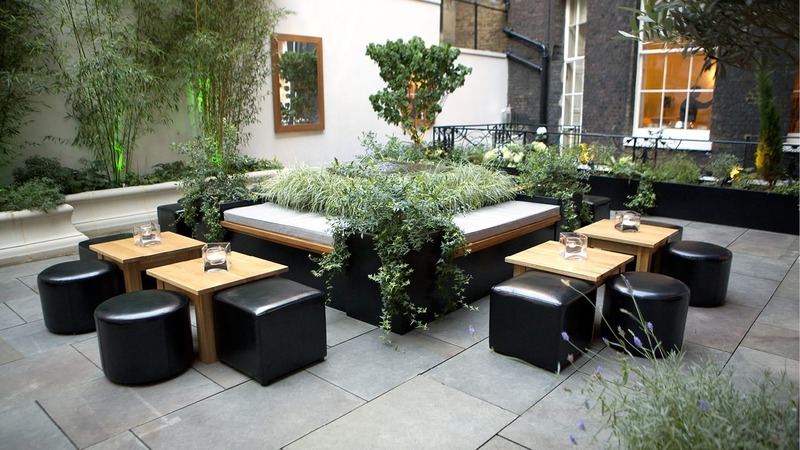 It is a quiet haven that is the perfect relaxing space from the hustle and bustle of the busy London streets. The Garden Space is linked to the Terrace Room, so guests can choose whether to be outside or inside. Food is served inside, and there are lots of options for guests to enjoy; British Summer BBQ or Themed Streetfood are the two menu options. From this, there is ample choice on both menus - guests will enjoy the ultimate garden party with beautiful catering. The venue offers a dedicated event planner for your event, so that the pressure is off for perfecting that once in a lifetime party. 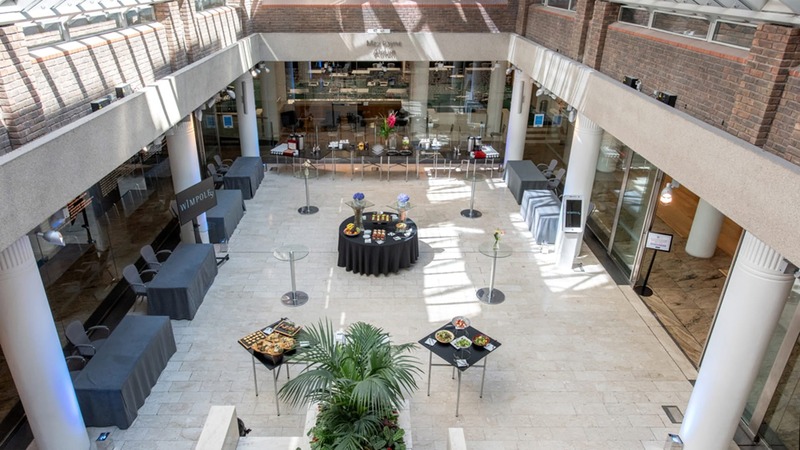 The Royal Society of Medicine offers these two beautiful, bespoke venues for event hire. Each venue is flexible, and adaptable. Choose between the light and airy 1 Wimpole Street for a work event or conference, or The Garden Space at Chandos House for that perfect summer party. Which will you pick? Looking for great venues to host your corporate event? Hire Space's Venue Experts can provide you with great reccomendations and will help make booking your event a joy. Enquire now.